In 2013, home and business security will continue to be a concern. Unfortunately, there will always be thieves and criminals looking to take advantage of unprotected residences and commercial properties. However, people are not defenseless. A solid security system protects against would-be thieves and vandals. Here are the top 10 security products for 2013. The first half of the list includes security systems, while the latter portion focuses specifically on IP security cameras. As the leading products in the security industry, these promise to protect people and property for years to come. An investment in any of these items in 2013 will provide security for years well into the future. The Lorex Edge is one of the easiest security systems to setup and use. Setup of this system is so intuitive that many users will not need a manual during the process. However, a well-developed user’s manual is included in the package if needed. Lorex also offers free live support via chat, which shows the company’s commitment to customer satisfaction. The Lorex Edge’s 640 x 480 resolution is lower than other cameras’ resolutions, but it provides an adequate, color image. SVAT prides themselves on do-it-yourself (DIY) security systems, and the CV502-4CH-002 is their best DIY security system for 2013. The setup is not quite as simple as Lorex’s, but the steps are still easily followed. SVAT’s cameras stand out from the others. They have a 720 x 480 resolution and come loaded with features. Security Lab’s SLM441 holds its own when compared to other systems’ features, and the company’s warranty is unparalleled among its competitors. On their high-definition cameras, Security Labs offers a four-year warranty. This provides customers peace of mind and shows that the company has faith in the quality of their products. Unfortunately, the company’s customer service is not as good as the above companies’. Clover also does not provide the customers service that Lorex and SVAT offer, but the PAC4410 system is great for people who are familiar with surveillance systems. For advanced users, who are comfortable setting up their own security system, the PAC4410 offers a variety of features. This is a high-quality camera system that users can customize to their specifications. Swann’s surveillance system comes with two cameras, which is half the number of most systems. Furthermore, the cameras have a low resolution of 640 x 224. For a small location, however, this system is an inexpensive option. Its two cameras can cover either a door and cash register or two entryways, and the cameras will capture necessary detail if focused properly. Swann provides basic security for a home or small business without breaking the budget. Foscam’s F18918W is a standalone IP camera that can record without a hard drive. Because this camera can monitor an area without being connected to a larger surveillance system, it has several uses. It is an inexpensive solution for homes and businesses that need to monitor a small area that is away from the main location. For instance, a storage facility could be watched by this camera. It also can be used as a secondary system, in conjunction with a main system. If the main surveillance system is compromised, this camera might provide vital information. The Cisco PVC300 comes with a three-year manufacturer’s warranty, which is among the longest offered on any IP security camera. The PVC300 is unable to record to an SD card or DVR recorder, so it should be used with a system that stores data on a hard drive or in the cloud. For people who want an IP camera that is easy to use and will last for years, the Cisco PVC300 is a great choice. In a digital age, businesses must protect against more than just physical crimes. Thieves regularly steal data, including security footage. Footage can be stolen and reviewed by criminals to case a place, or it might be stolen to destroy evidence. The Panasonic BL-C210 prevents criminals from hacking security footage. It transmits the recording in an encrypted form to a local computer. To prevent unauthorized access to the data, the camera will not email the video feed or upload it to a website. The SecurView Internet Camera TV-IP110 can be integrated with other cameras, even those not from SecurView. 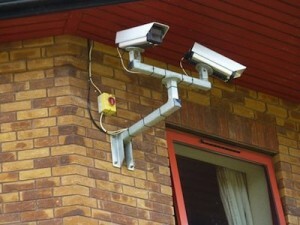 Since the camera cannot record data to an SD card or DVR, it is not the best camera to build a security system around. For those who want to expand their surveillance system, however, this camera is an easy way to extend it. SecurView also provides great customer support. Unlike SecurView’s Camera, the Sharx Security SCNC3606 camera cannot be integrated with other cameras, even if they are manufactured by Sharx. This camera stands out, though, because it can record audio. This is one of the few IP cameras that records audio. Setting it up in an area where people regularly talk will provide information other cameras cannot access. If you are interested in a new security system for 2013, contact us today.